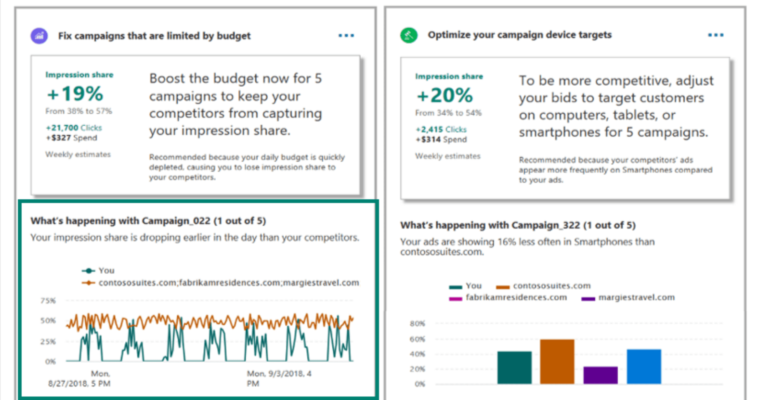 Bing Ads has received three AI-powered updates, including a competition tab, performance insights, and location recommendations. The company says these features are unique to Bing Ads and not offered by any other tools. In an effort to address advertisers’ needs, these features are focused on providing a combination of performance data and actionable insights. A new ‘Competition’ tab in Bing Ads will show advertisers which of their competitors’ ads appear ahead of theirs and why. The competition tab includes a revamped version of the auction insights report with comparisons versus competitors. 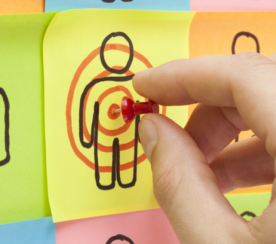 Data is displayed with rich visuals and can be segmented by metrics such as time or device. Bing will also explain to advertisers how they can use this data in the ‘Recommendations’ section which includes custom-tailored advice. 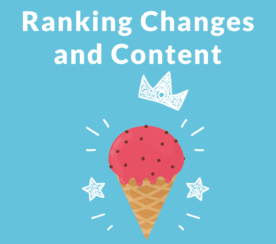 Through the use of machine learning, Bing Ads will begin providing performance insight notifications when a change occurs that’s out of the ordinary. Advertisers can click on the notification to see Bing’s analysis of why a sudden spike or dip occurred. This feature will be rolling out slowly to all advertisers over the next few months. When managing location targets, Bing Ads will suggest locations that similar advertisers have had success targeting. This is the first manifestation of a new Bing Ads capability that provides recommendations based on analyzing the results of similar advertisers.